Super Wish This Didn't Happen - . "Over here, Bob! I see protractors down here!" "No, it actually isn't. It's a compass." "I know it says that but compass is another word for protractor." "Mom? You are completely wrong about this. Look. 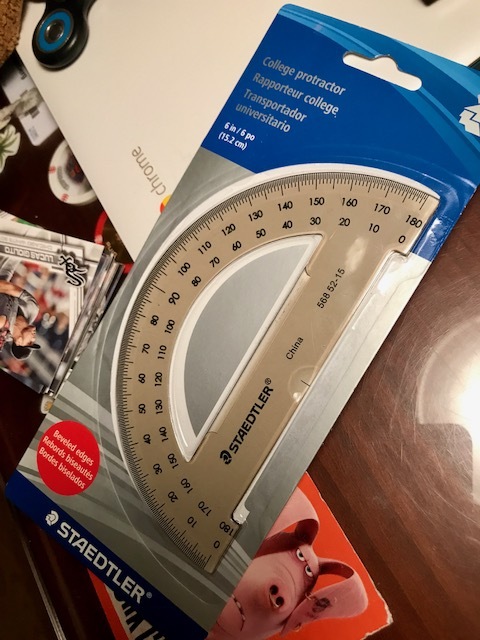 This is a protractor. It even says it on the package. Protractor here - and this one's a compass." "Oh my God, Mom. Really?" Frankly, I can't believe they still use either a compass or a protractor but I'm sort of really glad they do.